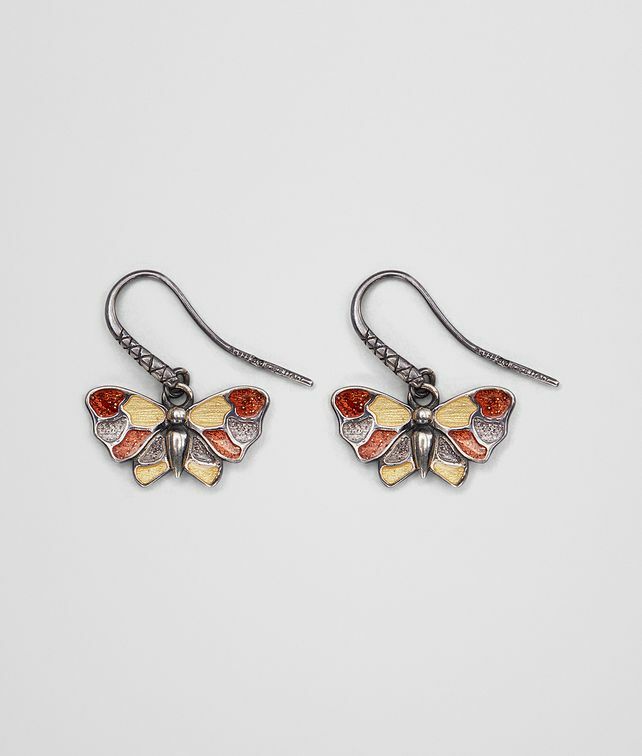 Handcrafted by Bottega Veneta's master jewelers, these lightweight silver earrings feature shiny, multicolor butterfly pendants. Each wing is expertly painted with drops of brown, gold and silver enamel. The hooks are detailed with the house's interwoven pattern. Height: 2.8 cm | 1.1"
Length: 18 cm | 7.1"